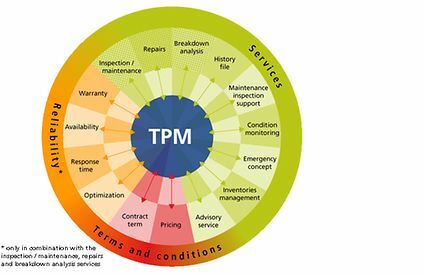 TPM® is a modular service concept devised for pumps, valves and other rotating equipment – from any manufacturer. You choose and combine the individual maintenance modules as required – through to a Total Pump Care Package. Use of the complete package can reduce maintenance costs substantially – depending on the relevant plant condition. This professional management concept builds on a history file kept on every single unit. The file tracks all the work done on the product in question. It also records all measures, the cause of any damage, mechanical analysis and spare part requirements. This way, each file allows individually tailored planning of maintenance intervals and provides important data for detailed assessment of life cycle costs. At your request, we set up an on-site service centre, manage your workshop or provide pick-up and delivery service through one of our service centres near you. Talk to us. Together we develop the solution that is right for you. Tailored to suit your needs and your plant.